NEW PRICE! 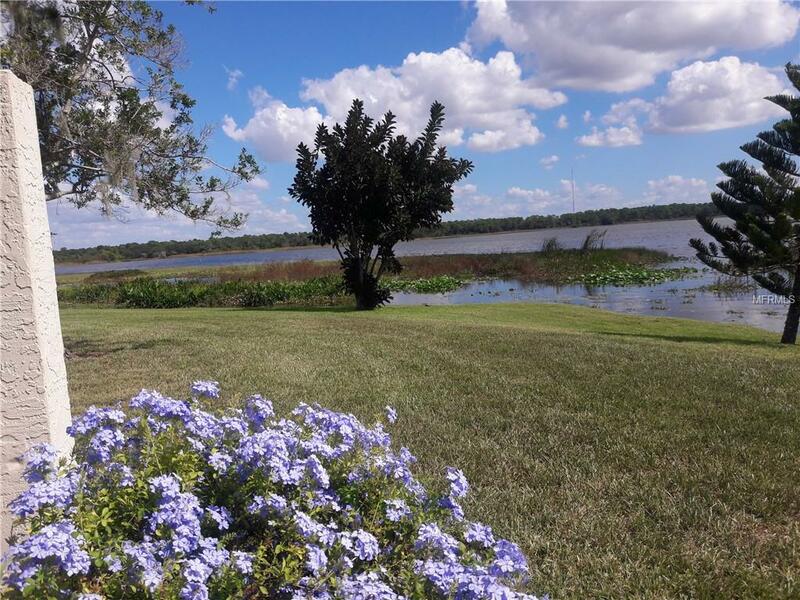 LAKE FRONT TOWNHOME WITH A WATER VIEW! Updated 2 BR/ 1.5 BA, two story town home in a desirable lake front community. FIRST FLOOR: living room, kitchen, half bath, large closet, Florida room and a laundry room with fairly new W/D (included). SECOND FLOOR: two bedrooms, 1 full bath with, large closets in each bedroom and a a linen closet. Laminate and tile floors, no carpets. both bathrooms were refurbished with new vanities, faucets, mirrors and light fixtures. New light fixtures and fans in living room and bedrooms, freshly painted, nice and clean and ready to move in. The community offers beautiful pool area, tennis courts, fishing pier and club house. $348 per month includes flood insurance, basic cable, water, sewer, trash removal, pool maintenance, exterior repairs, roof reserves, management co services, landscaping, pest control and more. Home owner's insurance is $500 and you don't need to pay for flood insurance. You pay only for your electric, taxes, Internet. Centrally located in the county but tacked away from any traffic, close to the Beaches, Downtown St.Pete, shopping, major roads and Airport. Pet friendly - two small pets are allowed. A-rated schools near by. Long term rentals are allowed. Make this turn key property your home! Additional Water Information Lake View is From Florida Room And From The Back Bedroom On Second Floor. Flood insurance is included in The Maintenance Fees You Don't Pay it. Additional Lease Restrictions Association Approval is Required Can Lease But Not Short Term. Amenities Additional Fees Flood insurance is included in The Maintenance Fees. All You Will Have To Pay is Your Electric And Internet.